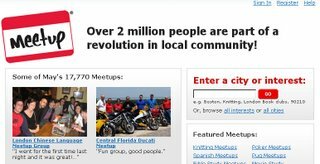 Meetup is a social community site, which helps people to find each other easily. With it you can find and join local community groups that regularly meet face-to-face, talk something online, and share your interesting. You can create your group, make friends in local area.